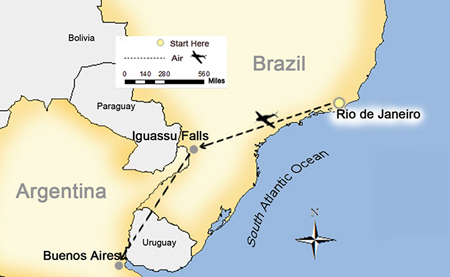 Fly to Iguassu. 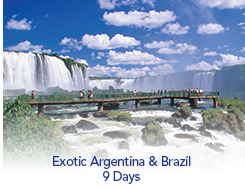 Transfer to your hotel, which overlooks the famous Iguassu Falls. Later, take a walking tour with a local guide along the Brazilian side of the amazing waterfalls, one of the natural wonders of the world. (BD) Optional: Helicopter ride over the spectacular falls. As a guest of SITA enjoy a welcome drink and receive a beautifully and locally made souvenir to bring home from your unforgettable journey to Brazil. Also enjoy a complimentary Wine Tasting guided experience in La Cava de El Querandi - Buenos Aires.